All members shall have the right to participate in activities organised by the Association and utilise its facilities and/or such facilities that the Association has access to in the Schools, provided they comply with such rules and regulations (that the Association may prescribe from time to time) and pay such fees as may be prescribed by the Association from time to time (as applicable). Any alumnus and alumna of the Schools who has made a membership application and paid the prescribed fee as stipulated in Clause 4.4. Life member can vote at general meetings, can stand for election and can hold office. Any person who has studied or who is still a student (who has obtained the written consent of the custodial parent or lawful guardian) in the Schools and has made a membership application and paid the prescribed fee as stipulated in Clause 4.4. Ordinary members have no right to attend and vote at general meetings and cannot stand for election and cannot hold office. A Person who shall be a citizen of Singapore or a lawful permanent resident in Singapore and who is at least 18 years of age and has made a membership application and paid the prescribed fee as stipulated in Clause 4.4. Associate Membership is valid for one year and is subject to annual renewal. 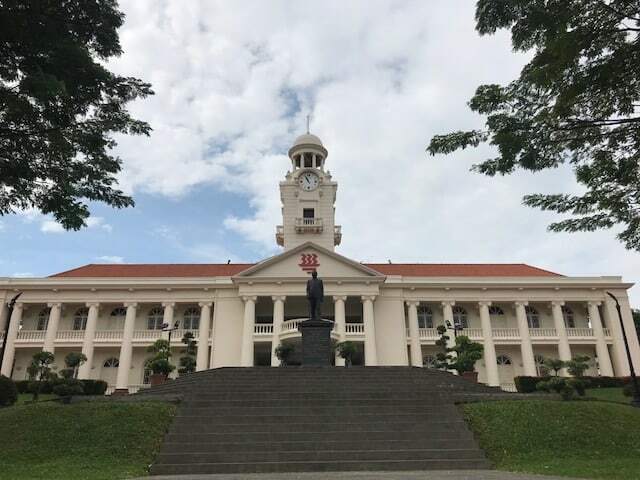 Any fit and proper individual who has made a significant contribution to Hwa Chong, approved by the Council as a special case. Every application for Life, Ordinary or Associate Membership must be submitted using prescribed application forms. The prescribed fees (if applicable) must be enclosed with each application. Every application shall be subject to the approval of the Council whose decision shall be final and not subject to any judicial review, in any respect whatsoever. 1. I wish to apply as a member of Hwa Chong Alumni Association (HCAA). As a member, I agree to comply fully with the Constitution, rules and regulations and any resolutions passed by the Association. 2. I hereby declare and give the assurance that I will be responsible for my personal safety and conduct. In the event that I incur any personal casualty, injuries or loss of valuables during the course of my participation in any HCAA activities, these will be considered accidental and I will not hold the HCAA, Hwa Chong Institution (HCI) and Hwa Chong International School (HCIS) liable in any circumstances. In the event that the same incidents result in HCAA, HCI and/or HCIS having to bear any compensations, legal fees, or other forms of monetary payments, I will reimburse HCAA, HCI and/or HCIS fully and accordingly. (c) receive new on HCAA events/activities from HCAA via email/Whatsapp Broadcast Message. 1. I hereby declare and give the assurance that I will be responsible for my personal safety and conduct. In the event that I incur any personal casualty, injuries or loss of valuables during the course of my participation in any HCAA activities, these will be considered accidental and I will not hold the HCAA, Hwa Chong Institution (HCI) and Hwa Chong International School (HCIS) liable in any circumstances. In the event that the same incidents result in HCAA, HCI and/or HCIS having to bear any compensations, legal fees or other forms of monetary payments, I will reimburse HCAA, HCI and/or HCIS fully and accordingly. (B) the administration of the membership with HCAA. 3. I agree to receive news on HCAA events / activities from HCAA via email / WhatsApp Broadcast Message.